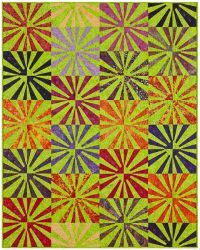 Create a fabulous quilt with a 10" square pack and some background fabric. 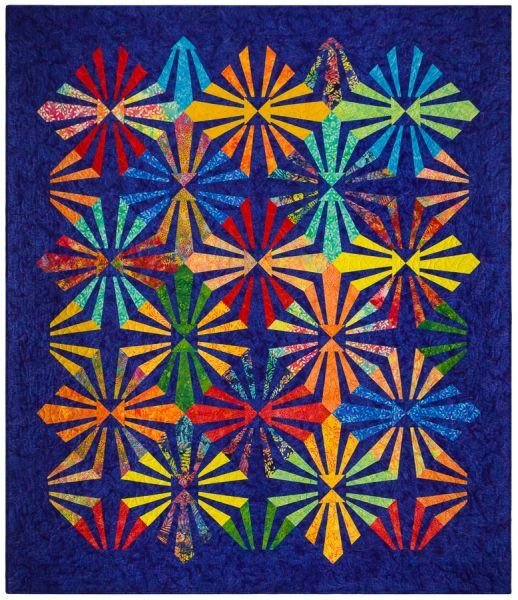 There are hundreds of ways to finish this quilt. Start with the freezer paper template included with the pattern. Cut out your 10" squares, shuffle the stacks of print and background fabric pieces and assemble. Once the blocks are made it is time to have some fun at your design wall. The possibilities are endless!